Is a suicide compensable? In certain circumstances it is, according to a recent ruling by the Nevada Supreme Court in Sharon Vredenburg v. Sedgwick CMA and Flamingo Hilton-Laughlin. While Nevada state law prohibits benefits if a worker’s death occurs due to a “willful intention to injure himself,” this does not apply if a “sufficient chain of causation is established.” Roberto Ceniceros of Business Insurance noted that, “To establish such a chain, claimants must demonstrate that the employee suffered an industrial injury that in turn caused a psychological injury severe enough to override rational judgment. Claimants must then establish that the psychological injury caused the employee to commit suicide, the court said. Dan Vredenburg was a bartender for the Flamingo Hilton in Laughlin. He suffered back injuries in a fall down stairs while working and was compensated for his injuries. According to the ReviewJournal.com, he suffered relentless pain. He couldn’t keep food down and spent his life in bed. Nealy three years after this accident, he killed himself. Under the state’s “willful intention” clause, his widow was denied benefits several times until the matter reached the Supreme Court and the precedent-setting determination was made. 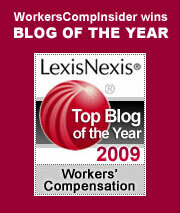 There have been other cases involving suicide where workers comp has been awarded to surviving spouses. This past November, we covered a suicide that was deemed compensable in Massachusetts. In that case, Gilbert Dube injured his back at work. When he tried to return to work on light duty, he was terminated. He then grew depressed and commit suicide a few weeks later. The insurer made the case that his termination was an independent, intervening event that broke the chain of causation. At the hearing, the claimant’s attorney introduced medical evidence that the employee’s back injury caused him to become clinically depressed, and that the termination exacerbated his depression to a degree that he was acting irrationally when he commit suicide. The justices concluded that the injury and termination were inextricably connected. In the 1992 case of State ex rel. Wyoming Workers’ Compensation Div. v. Ramsey, an Appeals Court upheld benefits for a decedent’s widow using the chain of causation test as the predominating principle in its decision. In the same year, a North Dakota Appeals Court denied benefits to the widow of Richard L. Kackman in the wake of his suicide, finding no cause and effect relationship between Richard’s work injuries and his suicide. In this case, two doctors presented conflicting testimony. One doctor concluded that Richard’s work injuries caused chronic illness, which caused depression, which in turn caused him to take his life. The other physician stated that Richard had a prior history of interpersonal problems, delusions, and a paranoid disorder before any work injuries occurred, and those preexisting conditions were what caused Richard to commit suicide. The Court agreed and denied benefits. An interesting thing happened in Nevada today. And it may eventually affect employers around the rest of the country, especially in Massachusetts. Workers’ compensation is amazing. It’s very stable in that every employee in the nation is covered by one form of it or another (except some of those in Texas; but we’ll write about that at another time). But it’s also a very fluid social engineering concept because every state has its own version of the law. Fifty states, fifty laws. Which brings us back to Nevada. The state, like most other states in the nation, is represented by the National Council on Compensation Insurance (NCCI) for purposes of rate filing. Some states, like Massachusetts, have their own “Bureaus” that represent insurers in the state and file rate request changes with their respective Divisions of Insurance. Today, Nevada’s Commissioner of Insurance approved a rate filing request of the NCCI, and for most Nevada employers this will a mean a reduction in their next workers’ compensation premium of about 12.3%. But the really interesting thing involves what is known as the ARAP. In Massachusetts, that stands for All Risk Adjustment Program, and is a kind of Experience Modification surcharge on top of the regular Experience Modification. In the rest of the country, ARAP stands for Assigned Risk Adjustment Program. Here’s what the difference is: in Massachusetts every emplpoyer, whether in the Assigned Risk Pool or the voluntary market, is eligible for an ARAP surcharge. In the rest of the country, the surcharge only applies to employers in the Pool. But regardless of where an employer happens to be, the maximum surcharge is 49%. That is, until today. Hidden in the Nevada filing is a reduction in the maximum ARAP surcharge, from 49% to 25%. This is the main reason why overall rates in Nevada’s Assigned Risk Pool will drop by approximately 15%. We’re going to watch further NCCI rate filings to see if the ARAP maximum surcharge is reduced in other states, as well. In addition, we’ll continue to lobby on behalf of Massachusetts employers to have the ARAP surcharge apply only to employers in the Pool. And we’ll keep you informed.